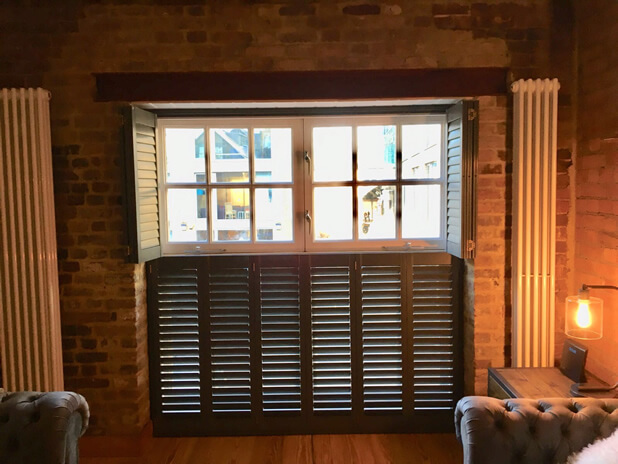 These plantation shutters were fitted to a property with a lovely interior and décor of natural brick and beams which was great to design some of our shutters around! 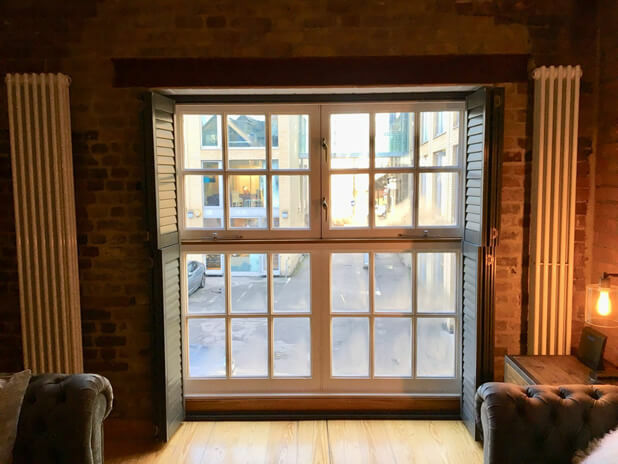 They were installed in the living room and master bedroom, with the living room featuring a window area to the floor and the bedroom window half the size. 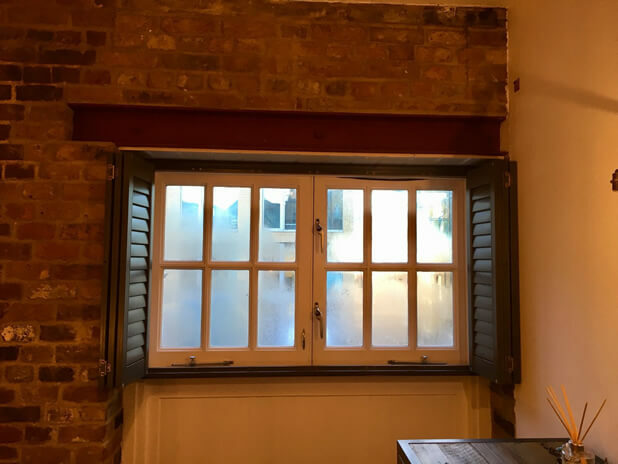 We had to design the shutters around both sizes of windows while making sure they fully matched in finish, but operated in slightly different ways. The living room shutters were created in a tier on tier style, so that the top and bottoms can be opened, closed and adjusted separately. A highly versatile solution for this window area. 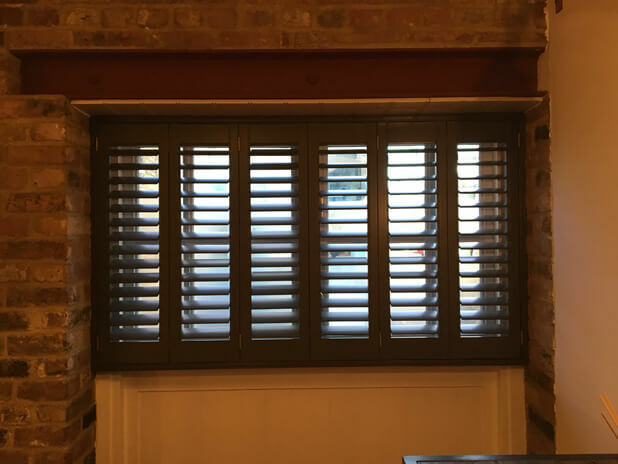 The bedroom window which is half the height was made using full height shutters, which match like the top section of the shutter install in the living room. 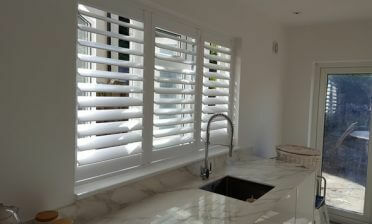 All shutters are 6 panels across, with the ability to all neatly fold out the way on hinges to reveal the window behind. 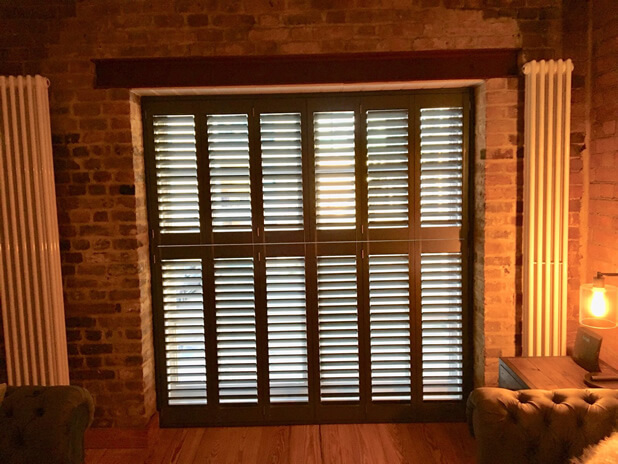 They feature 63mm louvres and a hidden tilt rod system which creates a modern and clean look against the exposed brickwork and beams, which we think works wonderfully as the current décor is all about mixing modern features with a traditionally finished property. 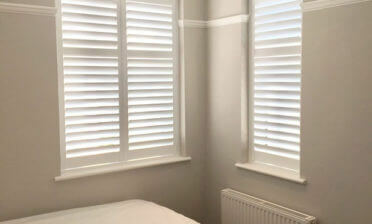 The shutters were installed by one of our expert installers, Tom in Gravesend, Kent for our customer Rachel. 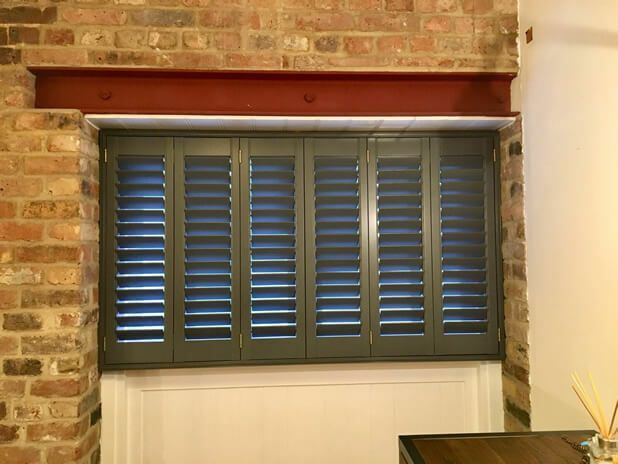 We decided on finishing the shutters in a lovely Clay colour with antique brass hinges with the client really happy with the look and feel of her new shutters and an interesting project for us to work on!